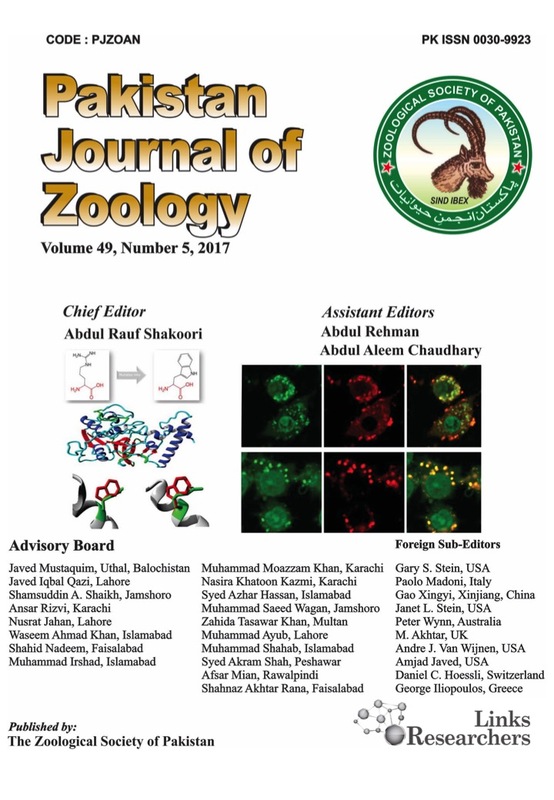 Pakistan Journal of Zoology (Pakistan J. Zool.) publishes original articles in English on all aspects of animal life. Generally these articles will be in, or related to one of the following subject areas: Physiology, Cell Biology, Molecular Biology, Genetics, Bioinformatics, Toxicology, Forensic Science, Developmental Biology, Entomology, Parasitology, Microbiology, Biotechnology, Pathology, Palaeontology. Taxonomy, Environmental Biology, Wildlife, Fisheries, Vertebrate and Invertebrate Morphology. Additionally, the journal considers research on health and clinical studies. Short communications are regularly considered, however, uninvited review articles, first records/reports of known species, case reports/studies and survey reports are not published in Pakistan Journal of Zoology. The Society also publishes Supplementary Series occasionally to accommodate Proceedings of a Congress, and large articles like memoirs, checklists, catalogues, etc. which cannot be included in the current annual issues. Register and submit your manuscript here. 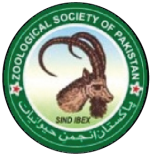 Within a year of the establishment of the Zoological Society, arrangements were completed for the publication of Pakistan Journal of Zoology. The first issue of the Journal was published in June, 1969. Since then it was published regularly, twice a year. In 1985 the biennial Journal was upgraded to quarterly publication. Keeping in view the popularity of the journal and to meet the ever increasing demands of authors, the publication of the journal was increased from four issues per year to six issues per year since 2007. Ever since its first issue, Pakistan Journal of Zoology has been published uninterrupted for the last 48 years. The number 4 of volume 48 of year 2016 is due to appear in August 2016. The Journal has a wide circulation in- and outside Pakistan.